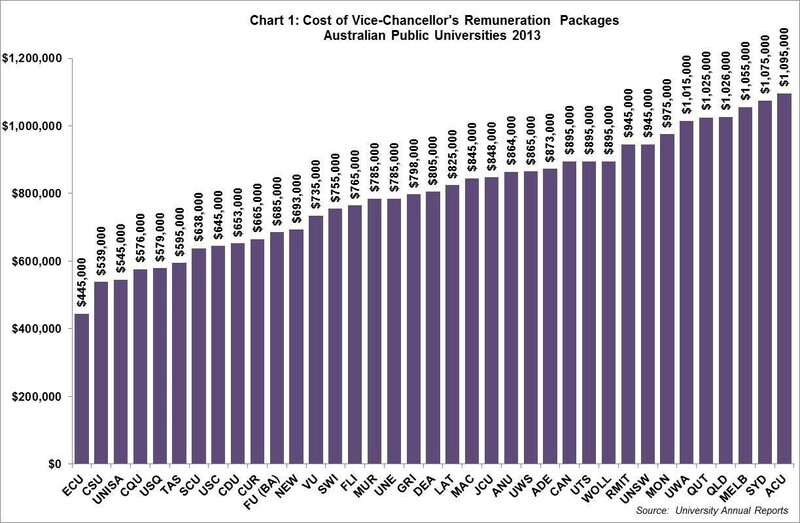 Analysis of vice-chancellor remuneration packages released by the NTEU shows that there were five universities where the total remuneration package was in excess of $1m. The analysis was compiled using data from universities’ 2013 annual reports. The largest package was almost $1.1m for the Australian Catholic University (ACU) vice-chancellor, and the smallest was $445,000 for Edith Cowan University. The average cost across all public universities was $770,000. Jeannie Rea, NTEU National President said the public has a right to know how much our public universities spend on remunerating their vice chancellors. 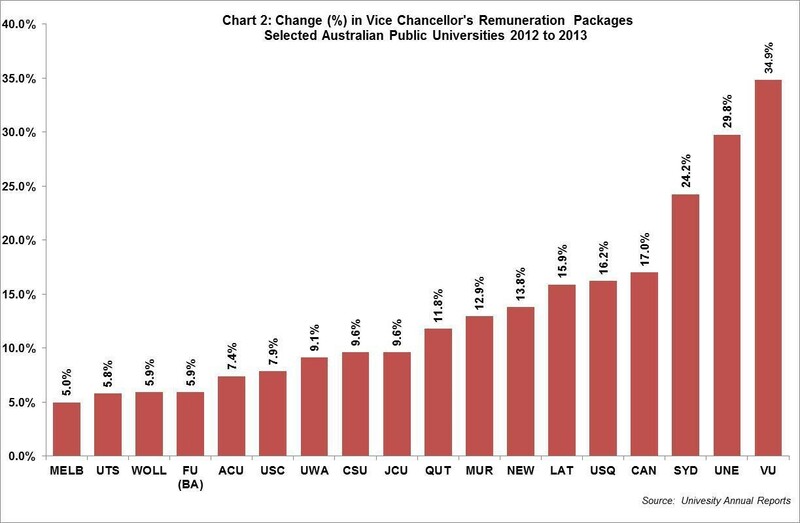 Many who believe that a vice chancellor’s remuneration package is related to their performance will be somewhat surprised to find that the Australian Catholic University has Australia’s highest remunerated vice chancellor, despite ACU not featuring prominently in any international university rankings. The transparency of what vice chancellors are paid and data in relation to performance is especially important in the current public policy debate about Australian higher education, especially when the outcomes of this debate might have very important consequences for the cost of attaining a university degree for future generations of Australians. The NTEU noted “some irony” in the fact that there is more information available on the public record in relation to the remuneration received by Rod Jones, executive director of Navitas, Australia’s best known private for-profit provider of higher education, than there is for most public universities. Navitas’s 2013 Annual report shows that Mr Jones’s remuneration package in 2013 was $1,039,684 of which 24% was performance based. In addition, the NTEU estimates that Mr Jones, who owned 60% of Navitas share at the end of 2013, received an additional $44m in dividend payments from the $73m of a total of $74m of profits distributed to shareholders.